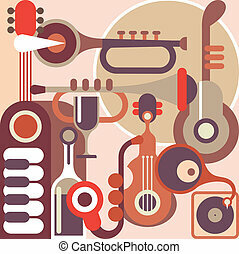 Music instruments - vector illustra. Musical instruments - guitars and violin. black and white abstract vector illustration. string instruments and music notes. 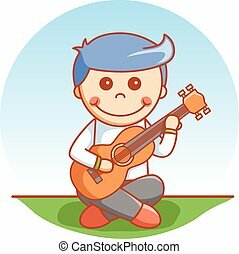 Musical instruments - guitars and violin. Black and white abstract vector illustration. String instruments and music notes. 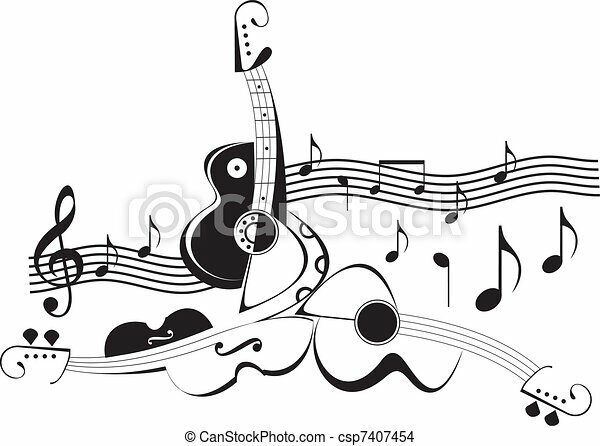 Music vector concept icon or logo template. 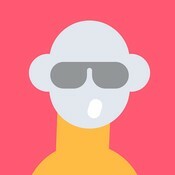 Flat vector illustration with the long trendy shadow on a white background. Good concept idea for the musicians. 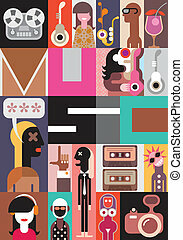 Abstract Music Background - vector illustration. 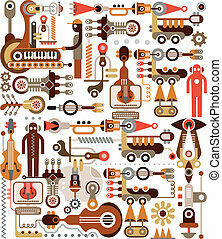 Collage with musical instruments. Music instruments guitar, piano, saxophone, violin, trumpet and drum. Vector illustration. 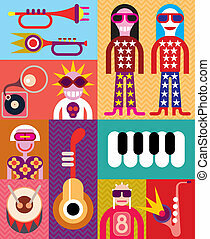 Music collage - vector illustration with people and musical instruments. Music. 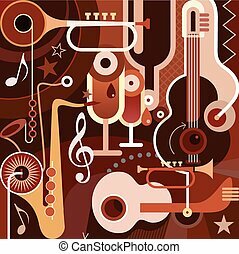 Abstract vector illustration with musical instruments. 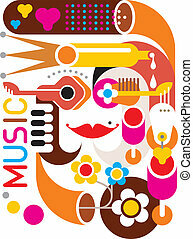 Music vector illustration. 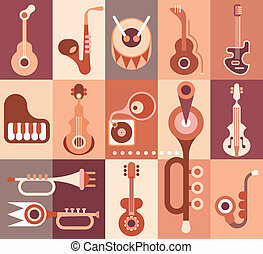 Composition of musical instruments and equipments isolated on white background. 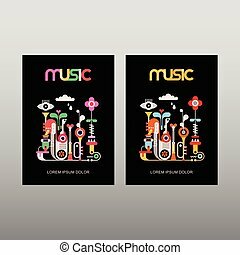 Music - abstract vector illustration on white background. Abstract art vector composition. 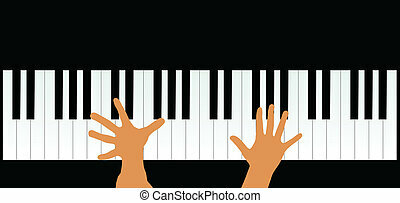 Graphic design with text "Music". 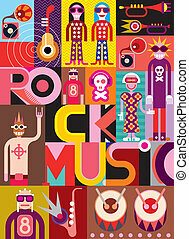 Rock Music Concert - abstract vector illustration. 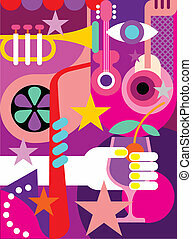 Music Background - color vector illustration. 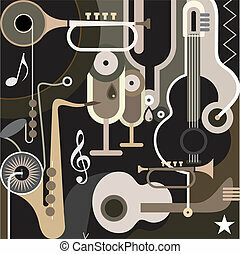 Abstract collage with musical instruments - guitar, sax and trumpet. 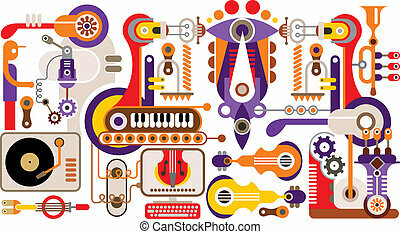 Musical instrument factory - abstract vector illustration. Isolated on white background. Manufacturing of music instruments. 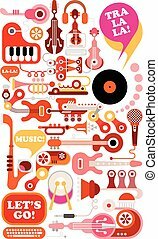 Musical instrument factory - abstract vector illustration. Isolated on white background. Manufacturing of music instruments. Vibrant colors. Music poster template - vector decorative text architecture. 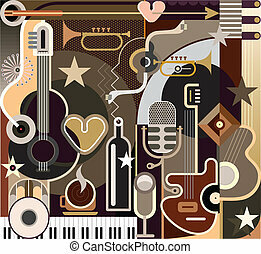 Abstract art design with musical instruments isolated on a black background.